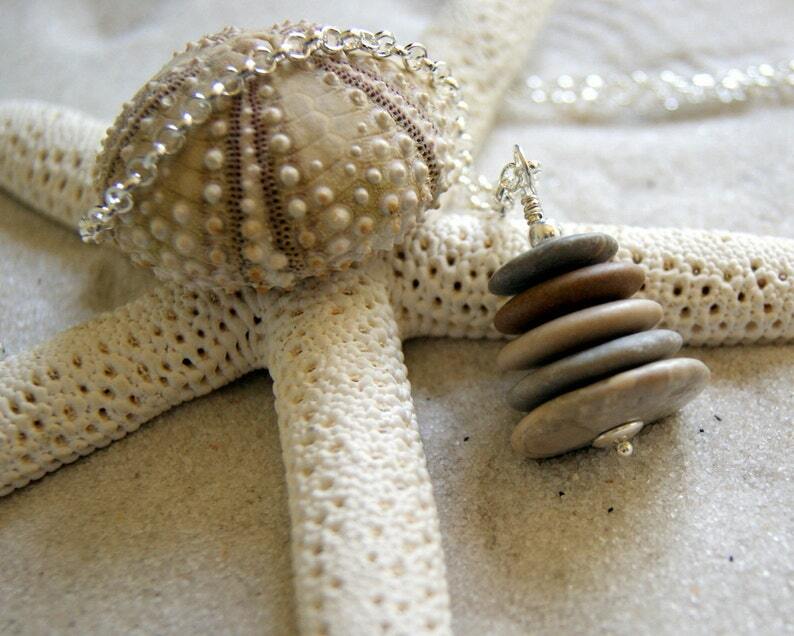 Five stacked and drilled beach stones in varying shades of beige, tan, brown, gray and/or black (depending on what I have in stock) hang from a silver plated brass rolo chain. Closes with a lobster clasp. This is my stock photo. Chosen for you at random. Each necklace is completely OOAK (one of a kind) and all are beautiful. You can see some of the Cairns that have sold in the photos. If you'd like to see what I have available now convo me BEFORE placing an order and I'll be happy to send a photo. Perfect necklace for a beach wedding. Choose length at checkout: 24". 26". 28".